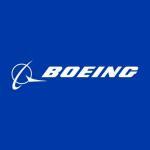 The Boeing Company is a multinational defense and aerospace corporation. They consist of several business units - Boeing Defense, Space & Security, Boeing Commercial Airplanes, Boeing Shared Services Group, Boeing Capital and Engineering, Operations & Technology. They are the leading aircraft manufacturer of the world and even occupy second largest position as a defense and aerospace contractor. They even carry the tag of largest exporter in the United States, calculated in terms of value. The company has its origin in 1910, when William E. Boeing purchased Heath's shipyard and later on turned it into an airplane factory. The company came into being after a maiden flight of "B&W" seaplane manufactured in assistance from George Conard Westervelt. There are currently 0 consumer reviews about The Boeing Company available. Share your review. Please take a note that you are about to post a public review about The Boeing Company corporate office on CorporateOffice.com. This review will be public, so please do not post any of your personal information on this website. If you would like to contact the corporate offices of The Boeing Company, please use their contact information such as their phone number, website, and address listed above to contact them. However, sometimes staff from The Boeing Company headquarters do read the reviews on this website.